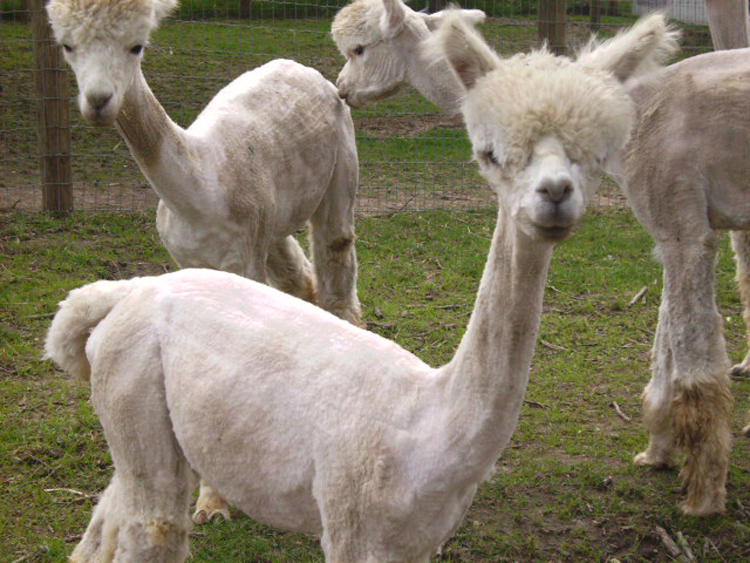 ​Alpaca was used to make clothing for royalty. 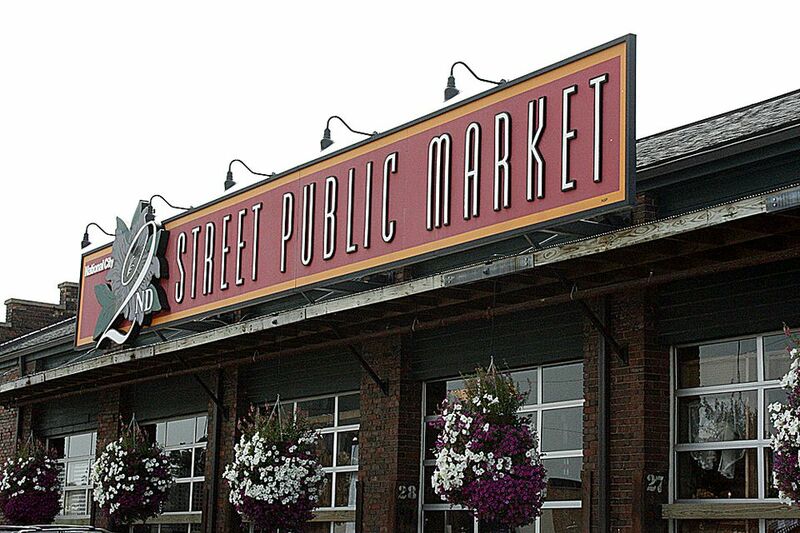 Alpaca fleece is the natural fiber sheared from our alpacas once a year in early spring. 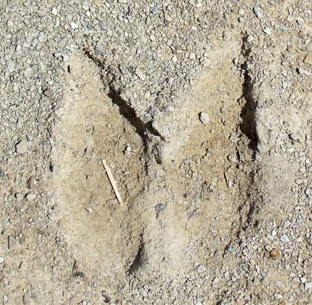 Though some people refer to alpaca fleece as wool, it is very different from sheep's wool. The structure of each fiber is hollow, making products lightweight with the same thermal properties as wool. 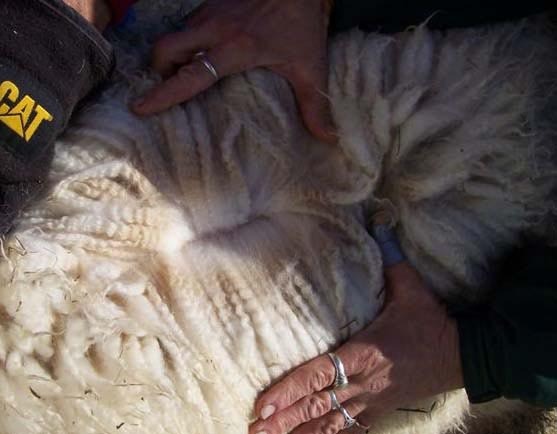 It lacks the microscopic barbs and lanolin in wool that people find itchy or prickly. Alpaca is naturally water-repellent and difficult to ignite. Our Huacaya alpacas produce soft, lofty fiber that has natural crimp, thus making a natural yarn well-suited for handmade and commercial textiles. Alpacas come in 23 natural colors and we keep half of our herd white so we can dye their fleece in many other vibrant colors. All of our alpacas have their own "distinct" personality and know their names. 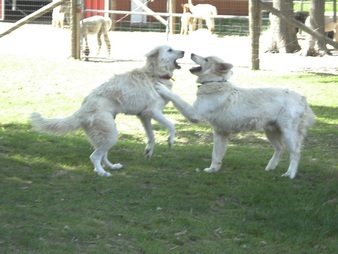 They are very gentle and intelligent creatures. 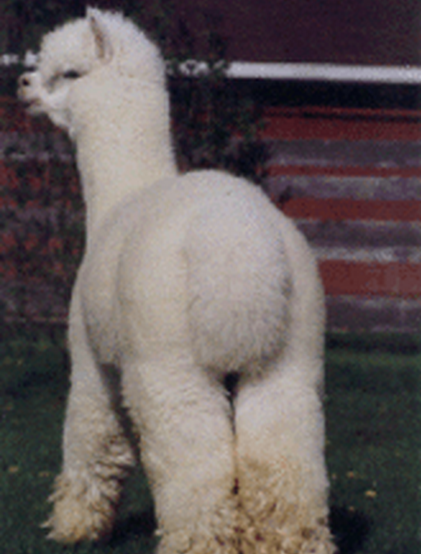 Our alpaca breeding program primarily focuses on full Peruvian and Accoyo genetics. 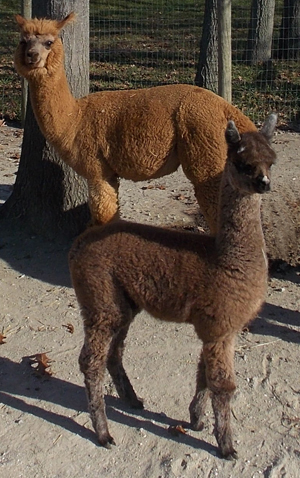 Accoyo alpacas originate from Don Julio Barreda's Estancia Accoyo alpaca ranch, Macusani, Peru, either as direct imports or as descendants of imports. Over a period of four decades of careful breeding selection, these alpacas have become recognized for producing some of the best white fleece in the world. 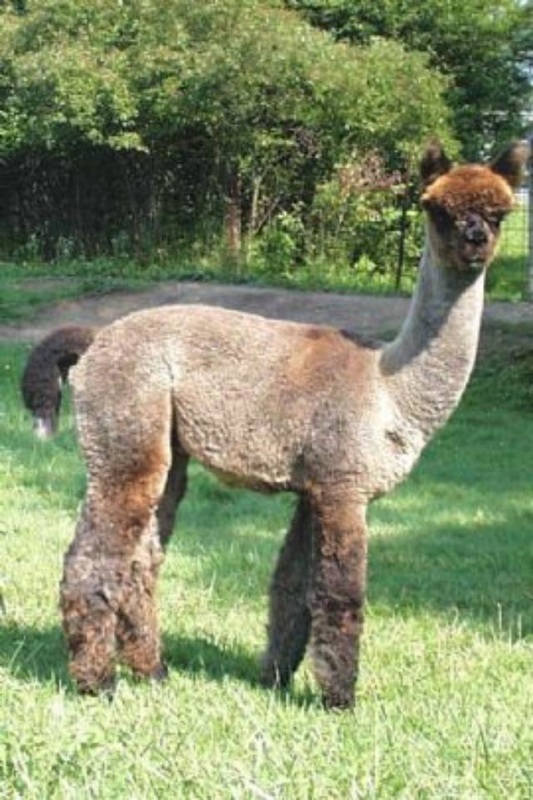 Careful breeding programs and good nutrition are important factors in producing superior alpaca phenotype and the fine, lustrous fiber needed to make the best yarns for weaving or knitting soft, beautiful and durable finished products. 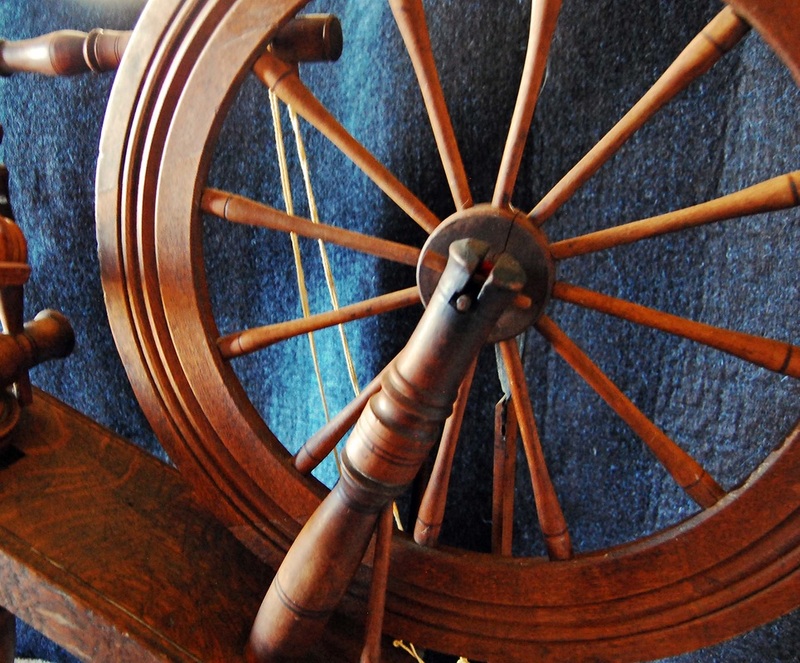 From simple drop spindles, traditional spinning wheels to aircraft aluminum high production spinning wheels New World Alpaca Textiles takes spinning to the next level.